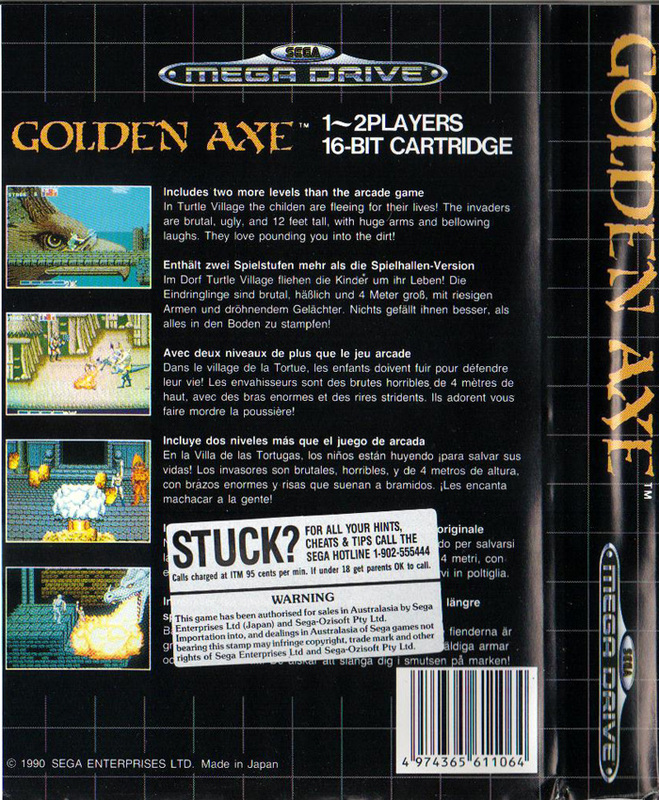 What do the French think of Golden Axe? Who cares! Stooooooop! Drop everything! There are messing with us! 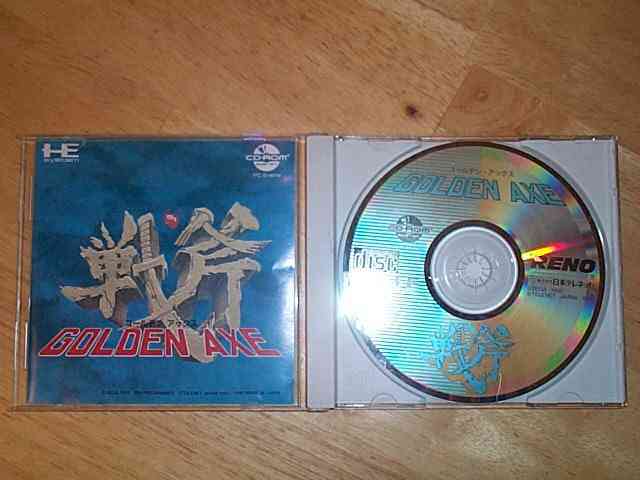 Golden Axe on CD-Rom is a true disaster! Without doubt, you already know that it’s a game that was initially developed by Sega. And NEC isn’t Sega, get it? A Sega game using a PC Engine isn’t a game, it’s actually an anti-game. I’ll explain myself: an anti-game is a game that’s destined to destroy the stability of the machine that it’s programmed for, the PC Engine in this case. 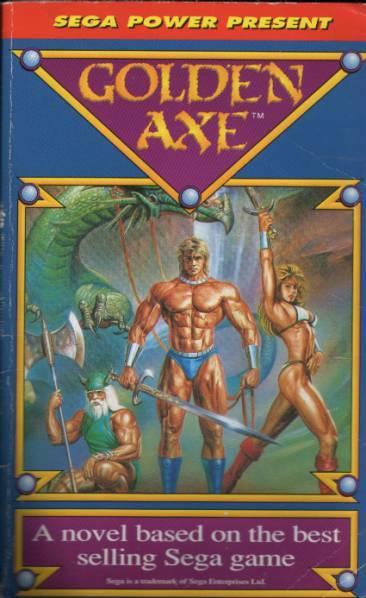 I’ll go deeper on explaining this for Golden Axe. From the start, you have the choice between three valuable warriors, each one with particular developed physics. All the characters on the screen are small – badly animated- the scrolling is unbelievable lagging, only the music on the CD-Rom and the animated intro save the game a little bit. 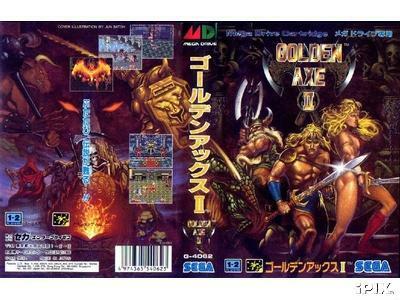 Golden Axe is, using the PC Engine, a true catastrophe. You can’t say it enough, and that’s a pity. No screen shots for this one. Death Adder invades the IBM, proving once again that Golden Axe's ultimate goal is the universal acceptance of everyone. 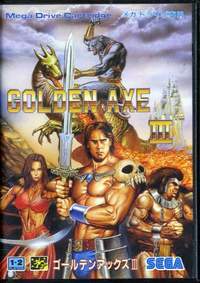 "The Golden Axe Takes on a Horrible New Cast... The Death Adder and his evil forces have invaded Yuria, imprisoned the king and his daughter and stolen the legendary golden axe. Only the three heroes of Yuria have the strength to stop the ruthless tyrant and regain the throne. Tyris-Flare, a beautiful and powerful amazon, has summoned her fire magic to eliminate the Adder and his orphan-making fiends. Gilius-Thunderhead rumbles and tumbles to the scene with his astonishing combination of lightning power and gymnastic skills. And the Axe Battler, who has a personal bone to pick with the evil Adder, has sharpened his giant sword for battle. YOU must choose which challenger to send into the dreaded path of the Death Adder... A Shadow of Evil Cloaks the People of Yuria... The once idyllic Eagle Island has been transformed into a real bird of prey, trapping the good Yurians in its infested feathers. Fearless Skeleton Swordsmen slash through the mangy battlefield, hunting down Adder's enemies. Meanwhile, Twin Brutes and Lizard Women spread their horror in the once prosperous Turtle Village. The precocious Death Adder Jr. throws knots of electricity from the palace door, barring entrance to the stolen throne. Your weapons range from razor-sharp swords to curtains of fire. You can even joust with your foes on the back of a bizarrian -- stolen from an un-saddled Adder fiend! Remember, one dose of magic can wipe away an acre of evil. For the sake of the people of Yuria, you must choose and use your weapons wisely." 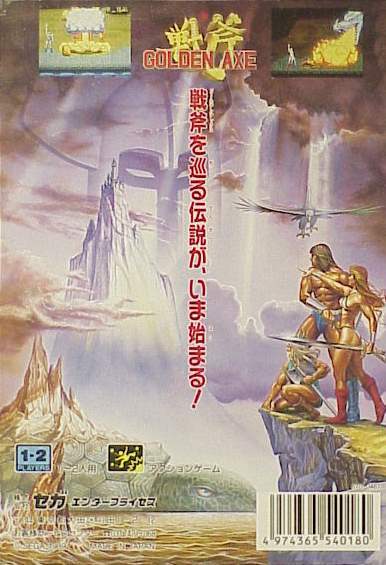 Another shot of the front cover of the Golden Axe PC game. And the back cover... what a happy bunch of campers they are! 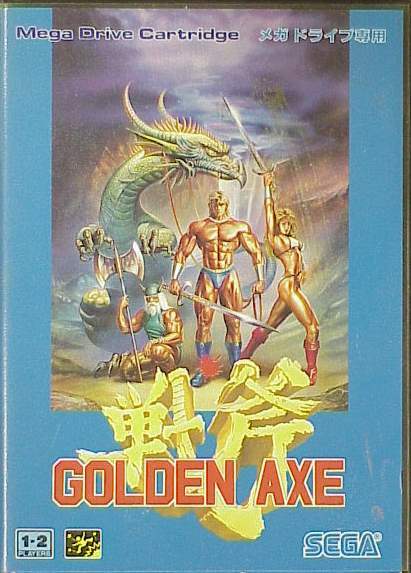 The early CD system takes hold of Golden Axe. The non-American/ non-Japanese version of the Sega Genesis--the main difference being only the graphics on the box. Back of the Mega Drive box. Really nice artwork here. Could Monet have captured this moment any better? 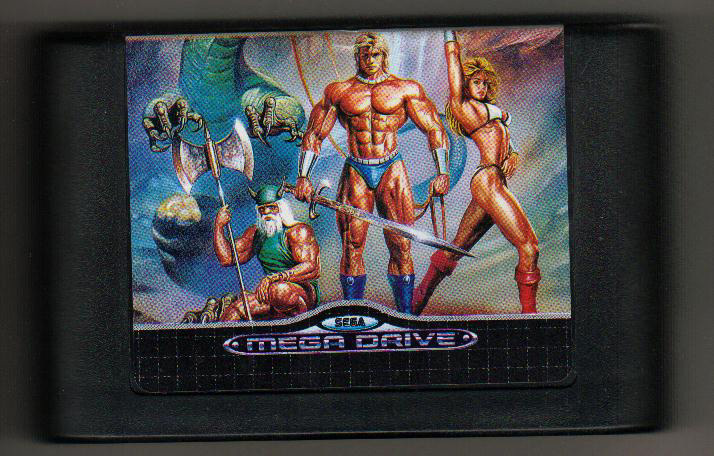 Alternate cover art for Golden Axe on the Mega Drive. A much closer shot that lets the details come through. Just looked at how haggard the face of Gilius is! Back cover of the box above. Six translations for the game and what it's about. My favorite line is, "The invaders are brutal, ugly, and 12 feet tall, with huge arms and bellowing laughs. They love pounding you into the dirt!" Cartridge for the Mega Drive. I hear the dragon sued because he was cropped out of the picture. 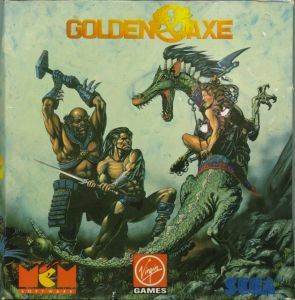 Golden Axe II on the Mega Drive. The box art alone makes the game a keeper. Another variation which includes both the front and back covers. 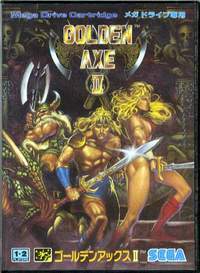 Golden Axe III on the Mega Drive. Why couldn't they have hired the artists for these games for all of Sega's best? Portable gaming at its best? If you are wondering why this book never made it onto the New York Times best seller list, you are not alone. As the motto goes, "It doesn't matter what a kid is reading, so long as he is reading." Here might be the exception. 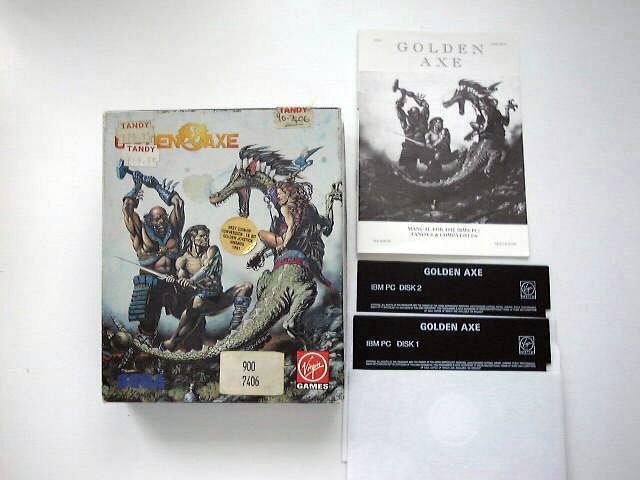 "Once upon a time, the Golden Axe was known throughout the land as a token of all power. A wise leader realized the potential of this powerful weapon, and hid it to prevent it from falling into the hands of evil. 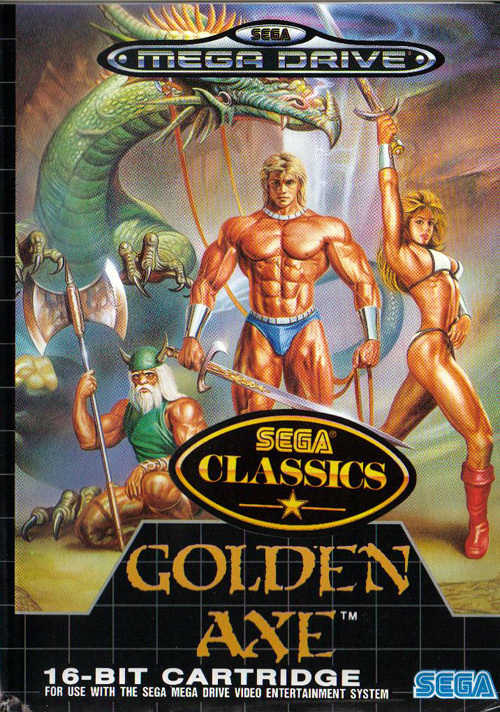 But now, the kingdom has fallen under siege, and as a young adventurer you must retrieve the Golden Axe and restore peace to the land. 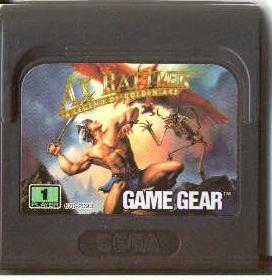 Axe Battler: A Legend of the Golden Axe is an exciting new role playing game for play on the Sega Game Gear." 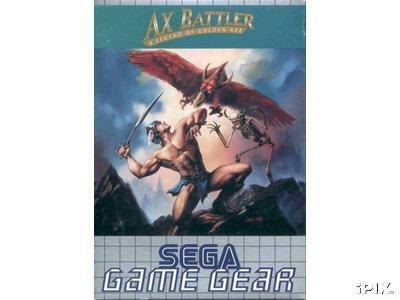 Box cover for Ax Battler on the Game Gear. 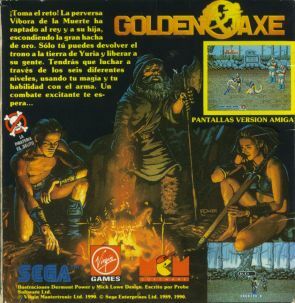 Great shot of Golden Axe on the Amiga computer (or as many knew it growing up, "God's gift to video game players"). 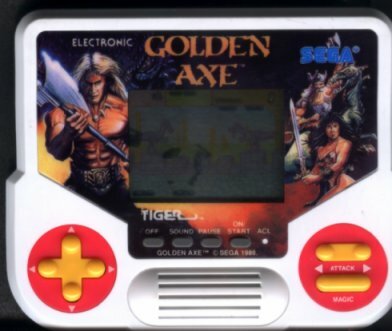 The common consensus is that this is the best home version of Golden Axe a person could own. Scenic fighting pictures from the Amiga. More Amiga fighting. Bring on the violence. What's that? You want more Amiga screenshots? Here you go! 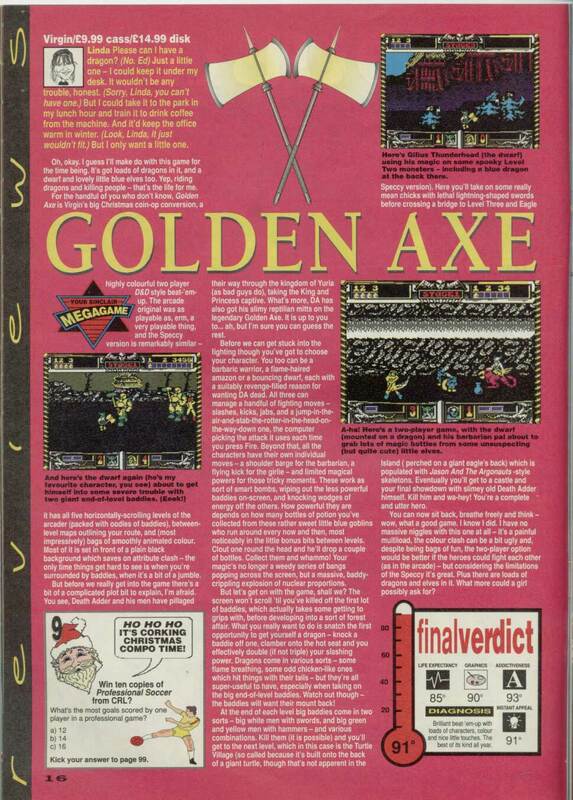 Full page review of Golden Axe on the Spectrum system. Just look at those amazing graphics! Picture from the Spectrum 48K computer. Multiplayer = Good. Graphics = bad. 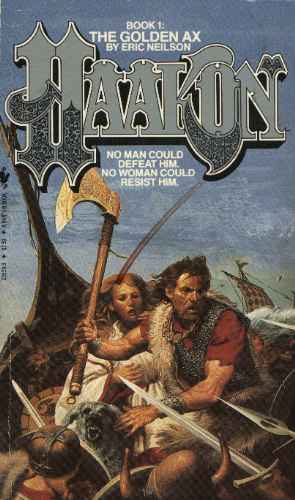 Haakon? Golden Ax? What's going on here? Clearly this is just a Kain Blade wanna-be. No woman can resist him? Has he ever taken on a force as powerful as Dora or Ms Demeanor?